I recently saw the full length theatrical trailer in theaters for Side Effects, and was kind of intrigued. From the director, to the cast, and plot, there are a lot of elements here that I wouldn’t have paired together in my own mind. 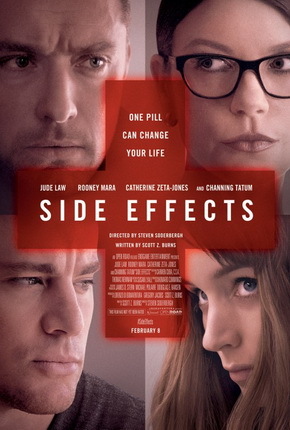 This new 60 second trailer for Side Effects, is also just as effective. It’s brief, but seems to tell all the same information as the long trailer and might even be more powerful. Side Effects tells the story of a Emily Taylor (Rooney Mara) coping with the release of her husband Martin (Channing Tatum) from prison. Emily visits with her psychiatrist Dr. Jonathan Banks (Jude Law) who helps her deal with the situation by prescribing her drugs. Although the intention is to help Emily with anxiety, it seems the drugs have some unexpected side effects. The cast also features Catherine Zeta-Jones as Dr. Erica Siebert, David Costabile, Vinessa Shaw, and Mamie Gummer. This film clearly features several dimensions from love, murder, lies, and it’s all in typical Steven Soderbergh fashion. The director of other recent films like Magic Mike, Contagion, and The Informant! 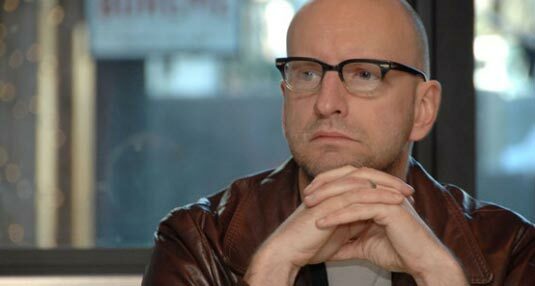 as well as older successful films like Erin Brockovich, Traffic and The Ocean’s Eleven franchises, Soderbergh’s signature style often includes the morality of lying. His story telling frequently includes montages as well as intense dialogue, and this trailer seems to reflect his intentions. Soderbergh has worked with both Law and Zeta-Jones on several occasions prior to this. He’s also worked with the screenwriter for Side Effects, Scott Z. Burns on Contagion and The Informant! Set to release in theaters February 8th, I’m hoping to be impressed with this collaborative thriller, and possibly the last film by one trademark director.